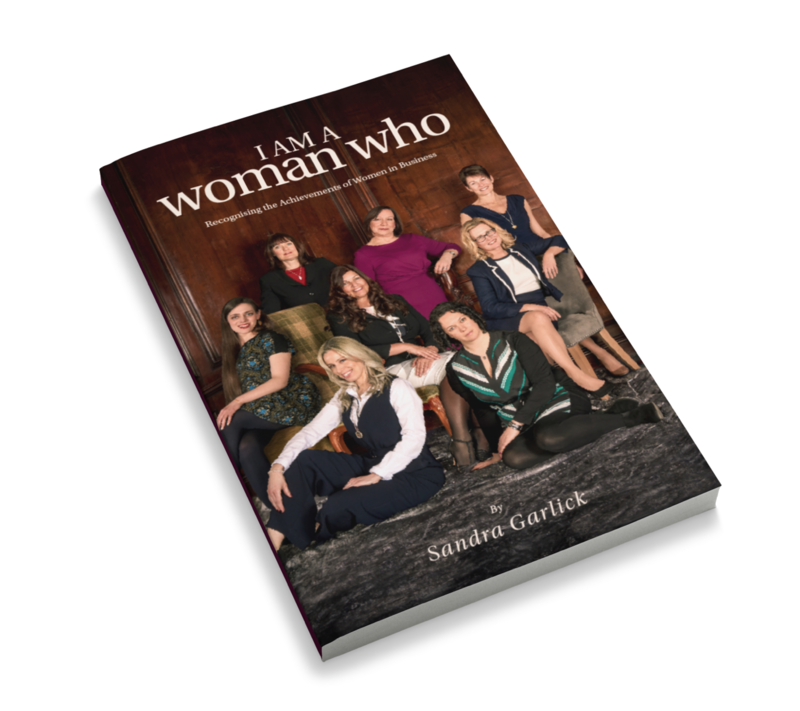 I Am A Woman Who captures the stories of women in business role models. These women are role models and they all inspire others. They have been on the Woman Who journey and have shared their story as a keynote speaker at a Woman Who event during the last 3 years. 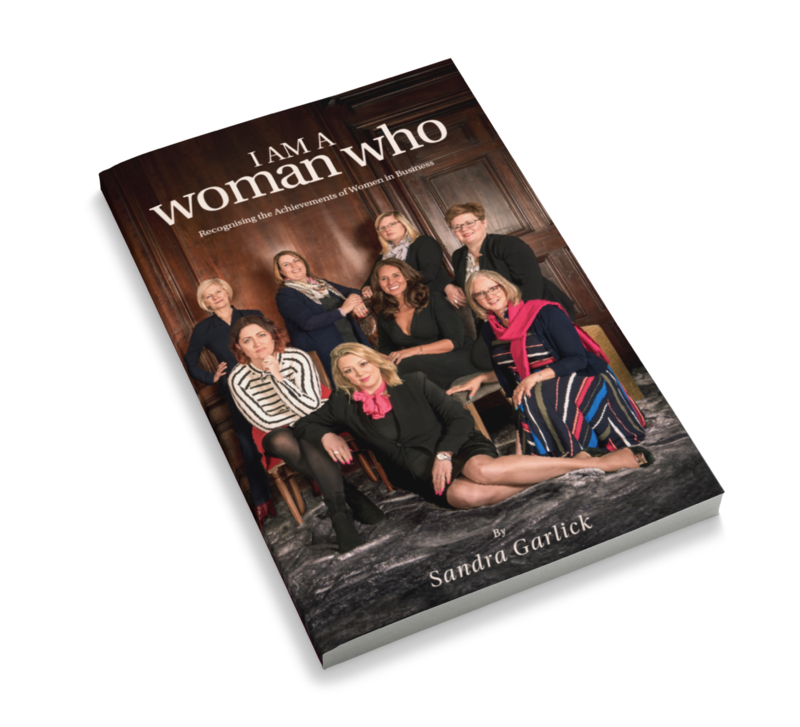 Each woman shares her business journey, including the challenges she has faced, how she overcame them, her top tips, favourite quote and a key message. “Remember, you can be anything you want to be. Sometimes you just need to stop and take a look at what you have achieved so far. 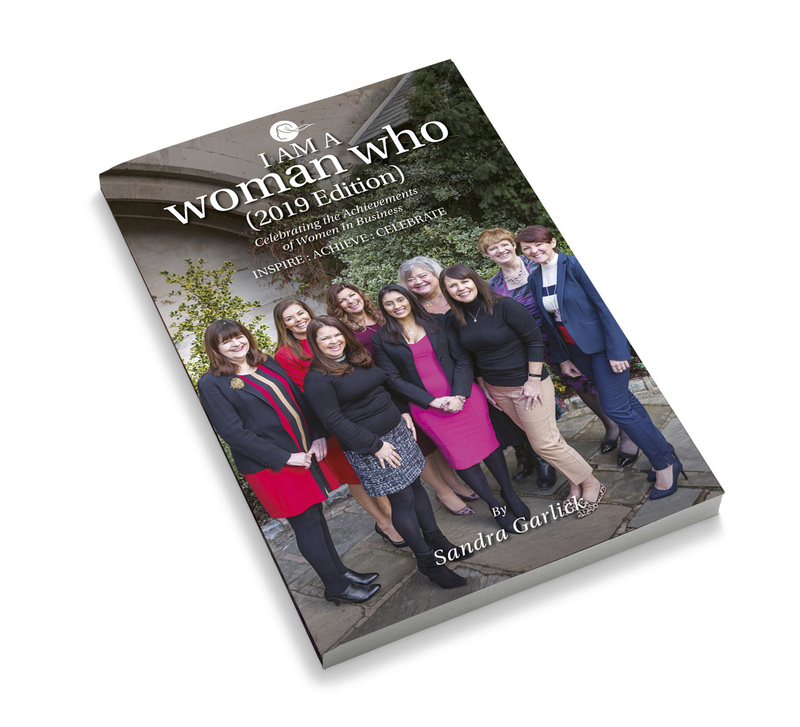 Sandra Garlick, Founder of Woman Who; Helen Routledge, Totem Learning; Emma Heathcote-James, Little Soap Company; Fleur Sexton DL, PET-Xi Training; Gurdip Chatha, Esque Beauty; Hannah Alexander, Lloyds Banking Group; Dr Sharon Redrobe OBE, CEO Twycross Zoo; Helen Walbey, Recycle Scooters; Holly Matthews, Happy Me Project; Mehmooda Duke DL, Moosa-Duke Solicitors; Joanne Derviller, Imaginate Creative; Jo Stroud, Fabulous/Mantra; Ruth Waring, Labrynth Logistics; Karen Green, Food Mentor; Louise Stewart, FSB; Jenny Hudson, FSB; Ruth Mary Chipperfield, Ruth Mary Jewellery; Sally Dhillon, Career-Mums Partnership; Erica Kemp, Alsters Kelley Solicitors; Dr Sonya Wallbank, Capellas; Jude Jennison, Leaders by Nature. 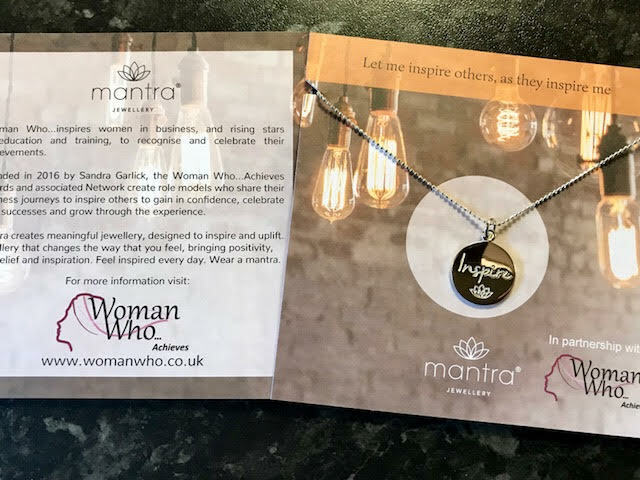 We have teamed up with Mantra Jewellery to create an Inspire Mantra Necklace. Upon receipt of your order we will provide you with full details for payment.